Like everyone, cricketers also have a life. So, it's obvious that they do many things similar to us. Like us, they also use Social networking sites. 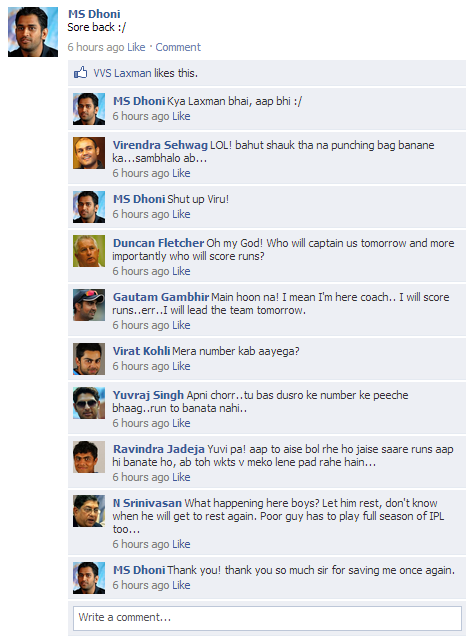 Here, I have tried to make full use of my imagination to bring you Indian captain MS Dhoni's latest facebook wall. Have fun!